1. Welcome and Attendance: Tom Hall, President; Ken Weigand, Vice President; Dave Miller, Treasurer; Dan Ross, Secretary; Directors Lin Manning, Mike Walsh, , Lew Gage, and Terry Matter. 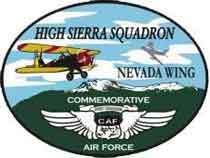 Liaison members: Mike Dikun, Reno-Stead Airport Manager, RTAA Representative unavailable due to scheduling conflict. BOD Member(s) absent: None. 2. Minutes: Minutes of the November 8, 2011 meeting were approved as presented. 3. Treasurer’s Report: Cash on hand,$3,712.32. 4. Membership Report: Currently there are 60 members representing 140 hangars. 5. Airport Manager’s Report: Dean Schultz has been promoted to RTAA Chief Operating Officer (COO). Congratulations to Dean for the outstanding work in his former position as Chief Architectural Engineer and his promotion. 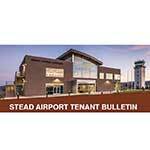 The new Terminal building is 60% design complete, 90% next with ground breaking in April or May. The construction phase is expected to take 8-10 months. A new temporary pilot lounge and management office will be available soon. Mike also briefed that the fence on the asphalt surrounding the Air Race crash site near the bleachers will remain in place until all legal actions are complete. Just as a reminder to users of the Stead Airport, current snow removal priorities are as follows: Fire lanes, runway 8/26, taxiway A, taxiways between hangars, runway 14/32, taxiway B, in that order. New gate access controls are being evaluated. 7. RARA Trustee Liaison Report: Standing room only for Dr. Charles Filippini’s memorial service at the RARA Hangar. Terry estimated the turnout to be approximately 530 attendees. 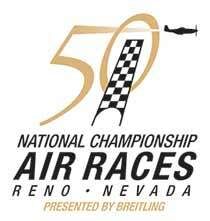 RARA and Reno City Officials are pushing for continuing the Annual Air Races. 8. Next Quarterly Safety Meetings: Possibly a March meeting featuring hangar flying/war stories with safety implications and lessons learned. A presentation by Hub Zemke or possibly Ben Scott was also discussed. 9. General Meeting: Officers and Directors: Dan Ross briefed the status of the airport WiFi project designed to provide service for tenants who are members. The first transmitter has been installed and is operational with a strong signal on the West end of hangar row including the Miser hangars. A special thank you for Ken Wiegland for providing the support necessary to make the West end project possible. The second transmitter is available and will be installed ASAP to “WiFi” the East end of hangar row to the permanent bleachers. These two transmitters are being used to test the feasibility, robustness, and durability of low cost equipment over the coming winter months. If they prove viable, they may be replaced later with commercial units or left in place indefinitely, TBD. Tom asked Dan to continue to work the project and provide project status at the January 10th meeting. 10. General Discussion: Limited due to time constraints. 11. Next Meeting: Board of Directors meeting January 10, 5:15p, at Tom Hall’s office, 305 South Arlington. 12. Adjournment: The meeting was adjourned at 6:10p.